I'm back from BlogHer 11 Conference, and I am exhausted. It was a fast paced, fun filled weekend with so much to share I don't even know where to begin. I seriously had an overload of my senses from meeting new people, reuniting with friends, to meeting brands, the food, the drinks, the parties and oh yeah the blogging! If you have never been to BlogHer conference and are serious about growing your blog and working with brands this is the place to be. 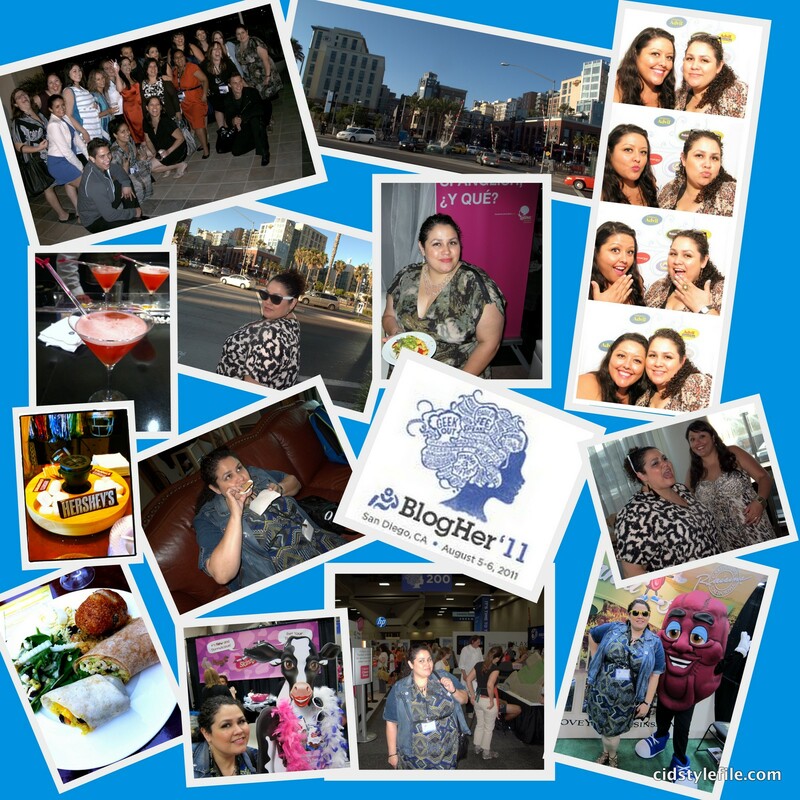 I won't bore you here with all the minute details and only give you the fashion and beauty aspects of my BlogHer11 experience later this week. Now I just want to share a collage of some of the highlights from my trip to San Diego. I reunited with some blog buddies, attended some cool events hosted by brands such as luncheons and parties, tried some new things and over all had a great time. Oh yeah in case you haven't heard, next year BlogHer12 will be hosted in NYC. WOOHOO!! I'm totally there to experience it all over again. Are you coming?